I was seated on the second row back in first year high school (year 2000). I noticed that despite being seated in front, the blackboard looked blurry and I had to copy notes from either Monica (beside me) or Monnette (behind me). I told my mom but she brushed it off. I can't recall now what made her change her mind, but she accompanied me to this optical shop near our place. The optometrist was shocked that my prescription was already at -3.50 for both eyes. I was 11 at the time, and she said we have to start with -1.50 and increase gradually. Surprised and pretty much speechless, my mom had Harry Potter and the Sweet Valley Twins to blame for my poor eyesight. My grade continued to increase but it stayed at -5.50 in the last 3 years. 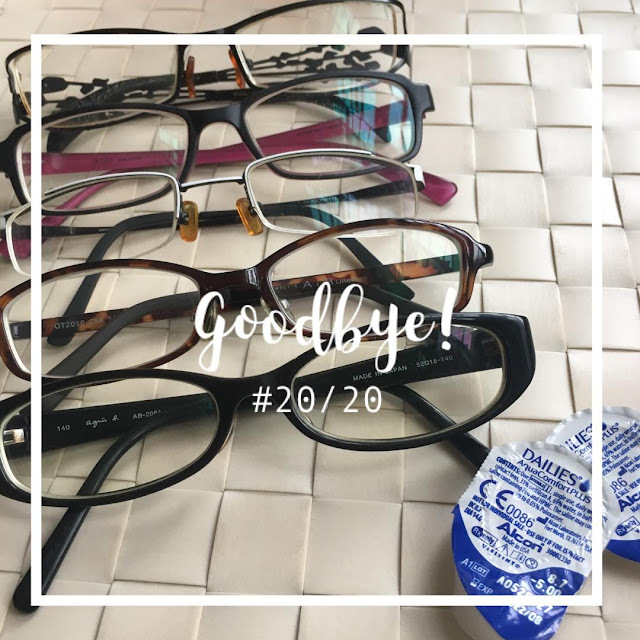 I wore contacts on and off, but have stopped wearing them last year (except if I'm attending formal functions) after developing frequent conjunctivitis with prolonged contacts usage. July 17, 2018 was a life-changing day for me. I woke up at a little past 5, whispered my prayers then headed to take a shower. I ate a big breakfast and left the house before 8am with my brother. My heart started to race. I gazed at the looming dark clouds and silently recited a decade of the rosary. The rain started to pour. I took off my glasses- my last day of wearing them- and savoured looking at the raindrops that appeared like pretty bokehs in my vision. I put them back on and took a selfie-- hopefully the 'last' selfie with specs on. I was at the eye center by 9am. I registered at the reception and waited for my name to be called. We repeated the same tests from my screening (completed a week prior to the procedure), except for the retina exam. The tests were finished by around 10:30. I signed the waiver and made the payment. A nurse then approached me and prepped my eyes with lubricant and antibiotic drops. After which I was asked to remove my glasses and wash my face before being led to the waiting area. I sat still, trying to do some deep breathing exercises to calm my nerves. I couldn't see the faces of the people around me but I recognized my doctor, Dr. Alnette Tan's voice. Dra. Tan asked me how I'm feeling. Perhaps my face turned white and so she said "It's going to be okay!" I was ushered into the LASIK suite and was told to lie down. Nurse Apple handed me a stuffed toy- a cute penguin- and placed a blanket over me. It was super freezing inside! I brought a rosary ring and clutched onto it from start to finish. Doc Alnette went in and checked if I was comfortable. The nurse placed some eyedrop anesthesia and cleansed my eye lids before handing me over to my doctor. Doc started explaining what will happen step by step, what to expect, and how long each step will take. We will be starting with your right eye, she said, while carefully placing an instrument to keep my eye open (SCARY. Sorry if it scared you too). She lowered down the machine and I saw a round lens-like part ready to be placed on my eye, or was it on my eyeball? I was not able to feel it anymore with the numbing drops. And then... I started quivering for a few seconds. I must have been really scared at the time, but there is no turning back. With a steady but gentle voice, Doc Alnette instructed me to look at the little red light and to keep still for 40 seconds. This first step creates a flap around the cornea. It will help if you count 1-40 in your head, Doc Alnette said, and that my vision will go black, and it did but it came back after a few seconds. Doc did my left eye and checked again how I'm doing. My voice must have been so weak that she had to ask me twice. I heard her tell the nurse that she saw me quivering earlier. I tried my best not to move and after a few seconds, it was over- both left and right. Doc said that was the most difficult part and I did very well─ although maybe she said that to calm me down. But it wasn't really too bad. I was just so, so scared. For the next part, which is the laser treatment, I felt the bed move to the left where the other machine is located. This time I had to look at a green light for 15 seconds. This was quite tricky as the green light kept on moving and I couldn't focus much because of the burning smell from the machine. I tried not to inhale it (hahaha!) and managed to breathe through my mouth after the nurse said last 5 seconds. 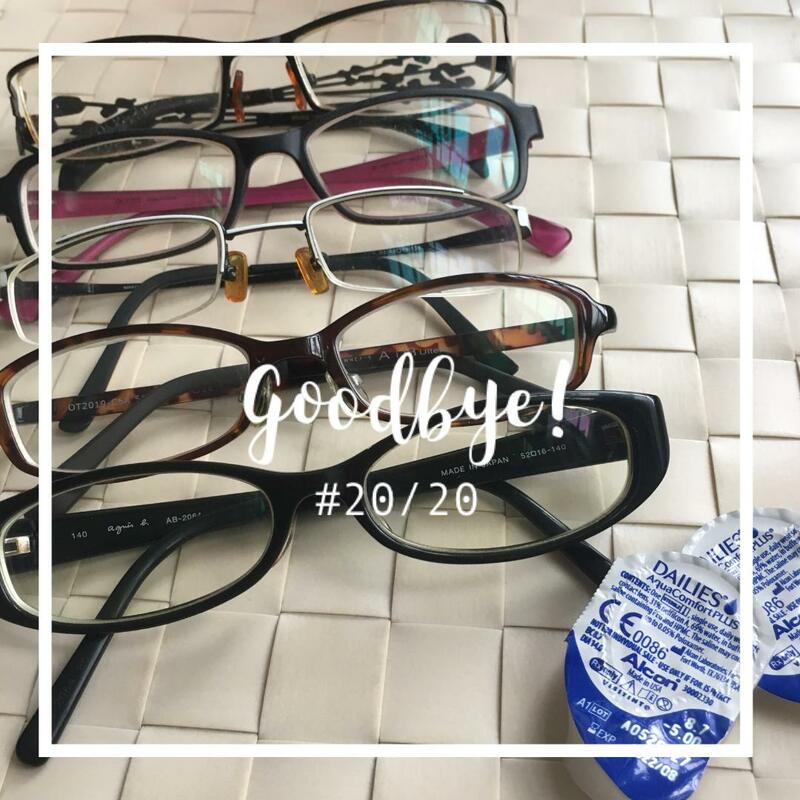 This time I felt my doctor brushing my eyes (my cornea?) and dropping something-- she later said it was water-- to wash it out. After a few minutes (which to me was an eternity already), Doc Alnette announced "We're done!!!" It took a while for it to register! She asked me to sit up and I remember smiling at her because I could finally see her, albeit my watery and hazy vision! I thanked her and she asked me to schedule my post-op check. I met Doc Alnette again outside the suite and was given post-op care instructions by the nurse. She helped me put on a pair of protective glasses and told me I can rest for a bit and leave whenever I'm ready. I left the center at 12:30, with my brother who patiently waited for me (and was working from 'home' daw). The anesthesia was starting to wear off by the time we reached home. I closed the curtains as my eyes were getting too sensitive to light and slept for 2 hours. I would sleep on and off, feeling some slight tugging or pressure in my eyes. I got up at about 3pm to eat my late lunch and slept again. I woke up at 4pm to instill the prescribed eyedrops. My doctor was right in saying that my eyes will feel a little sandy, like having a pair of old dirty contact lenses on. By 8:00pm, my eyes felt fine. A little grainy, but nothing too uncomfortable. It's an SOP to have the post-op consult a day after the procedure. However, my doctor is off every Wednesday so I asked for her go-signal to meet her Thursday instead. Good thing I did because it was raining heavily and most roads were flooded Wednesday morning. She advised that if I feel something unusual from what she earlier discussed and described, I should check-in with the center asap. Thankfully, everything felt okay save for my sensitivity to light. The world looks even more beautiful with perfect vision! My LASIK procedure was performed by Dr. Alnette Tan at the American Eye Center in Mandaluyong. She is hands-down the bestest best :) For inquiries, you may call the center at +632-2360762 (Shangri-La, Mandaluyong) or +632-7293937 (Greenbelt 5, Makati). 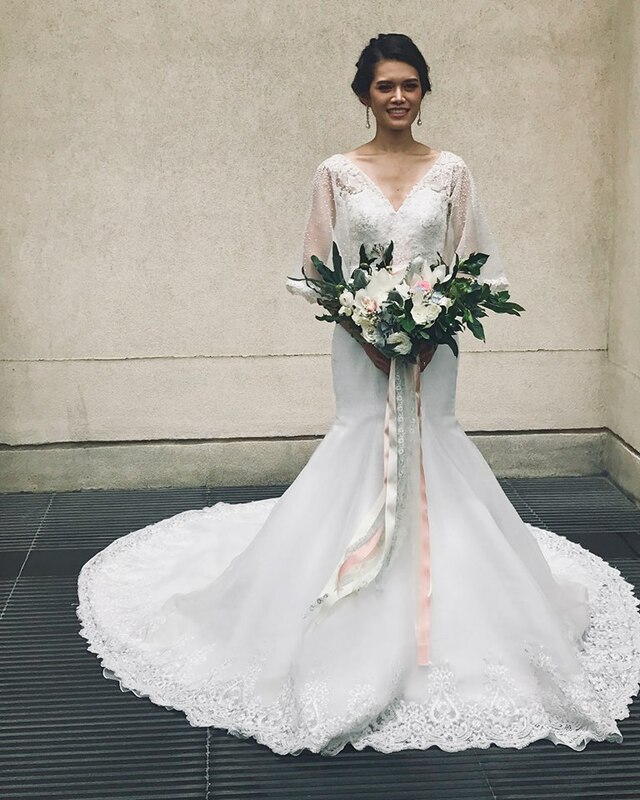 One of my dearest and closest friends, Kaymee, tied the knot in Cebu few weeks ago. The Cebu-based event organizer she hired was amazed at how all guests were flying in from Manila, Japan, Australia and the US. They didn't have any Cebuano guests, except for my good friend Hana. I introduced them to each other last year and Hana was very kind to help Kaymee find local suppliers. Hana didn't make it to the reception, but was present at the church ceremony. Their wedding served as a reunion for me and my dear college barkada. 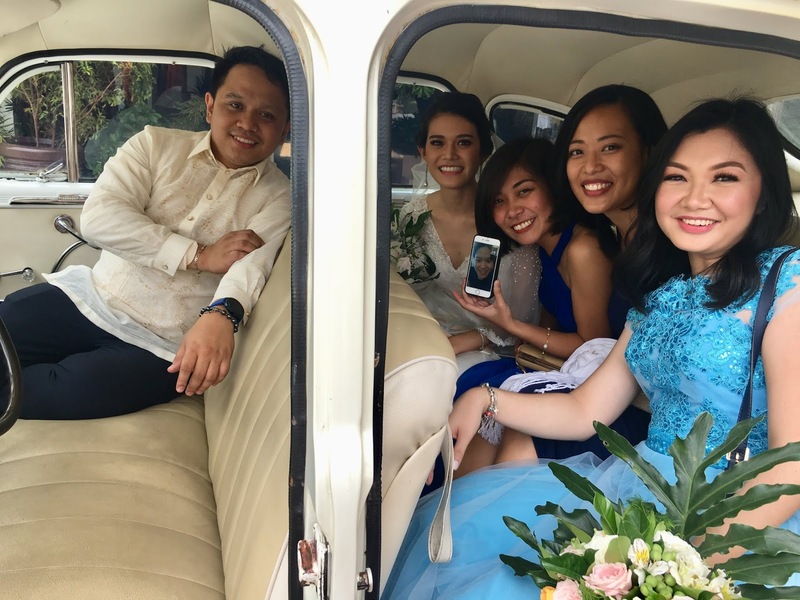 Sad that Joy was not allowed by her doctor to travel, but at least we got to have a barkada shot inside the bridal car.